Classic necklace crafted with fresh water pearls and a smattering of Swarovski crystals, for that extra bling. 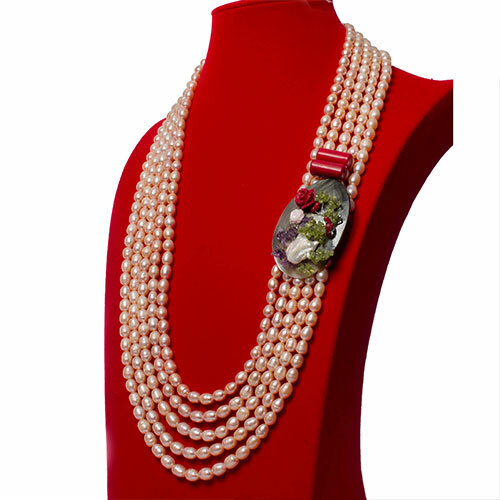 Length: 18 inches , includes bracelet and earrings ..
Blush coloured fresh water pearl 5-row necklace with a red coral & shell petal side focal. 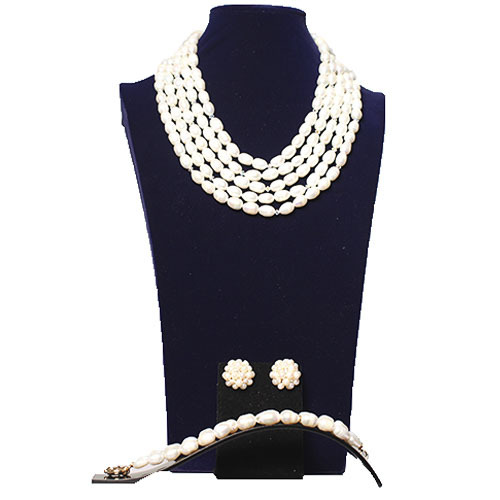 This necklace speaks of pure elegance and includes bracelet and drop earrings. Length of first row: 27"approx ..